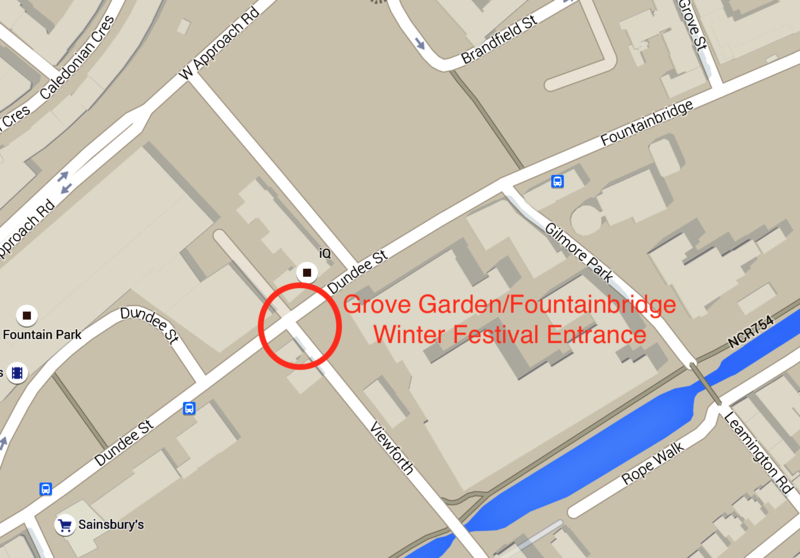 We extend a warm welcome to the Official Fountainbridge Winter Festival 2015 – on December 12th between 14.oo and 17.00 on the corner of Dundee Street and Viewforth on the Meanwhile site/Grove Garden – map and details of events below. 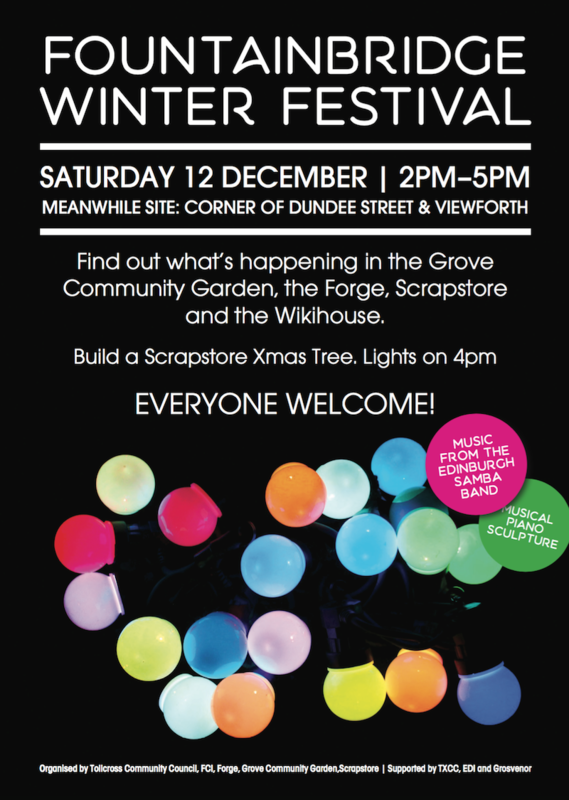 To give you a flavour of the afternoon events these are the ones we know of so far – more could be added by the 12th. You can get buses numbers: 22, 30, 34, 35, 1 to the event. « Roseburn to Union Canal path link Proposals.